Considering the present times, whether it is the health of your own or any of your near and dear ones, there are no clues that when one may have to rush to a hospital. In case of any medical problem you should know about a hospital which you can trust completely and here you will get all the information. Sukmani hospital is a place where you can meet your health care needs at very affordable rates and the services are of superior standards. It is a hospital with all the facilities that you generally look for in a world class health service provider. The place is equipped with advanced operation theatre, top notch ICU facility, Labour room and Nursery. For all the diagnostic needs the hospital has a tie up with Dr. Lal Path Lab which is a trustworthy name in itself. All the doctors and other medical staff at Sukmani hospital are extremely qualified and are completely dedicated towards the needs of all the patients. The services are very friendly and be it any emergency the hospital runs 24x7 for assisting the patients for all sorts of health issues. This hospital is located at two branches in Delhi. One branch of Sukmani hospital is in Vasant Kunj and another is Safdurjung enclave. The branch at Vasant Kunj is a 15-bedded hospital and at Safdurjung enclave the capacity is 30 beds. Even though the bedding arrangements are few because both these hospitals are progressing with each passing year but there is no compromise in rendering the health facilities to the patients. World class arrangements and treatments are followed for holistic care. What all health care facilities you can expect from this place? 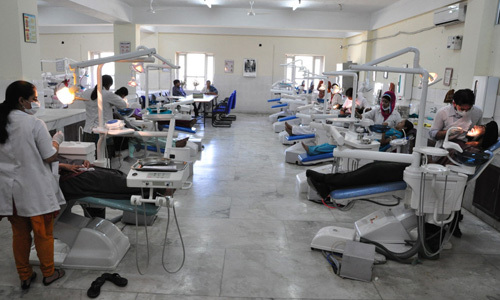 At Sukmani hospital you will get facilities for ENT, psychiatry, x-rays, ultrasound, pediatrics, ortho and spine care, cardiology and chest issues, physiotherapy, eye related problems, skin issues, nephrology, urology, dentistry, gynecology and IVF guidance, speech therapy and many other areas. Thus, be it any aspect related to health, this hospital is setting a new benchmarkby providing an accurate diagnosis and all the treatments at really affordable rates. There are multiple options for mediclaim facility as the hospital is having tie up with various leading medical insurance providers. What makes this hospital so special? Sukmani hospital is not like other medical centers which are just concerned about extracting money from the people looking for medical help. Here each and every patient is taken care of like a family member at very minimal charges. Avail the medical facilities of this place as and when you need, and you will instantly notice the exceptional difference in the quality of services rendered. This hospital is considered to be very efficient and there are a host of lady doctors to take care of the needs of the lady patients. All the patients are greeted with a smile on the face by the doctors. One of the major features of this hospital is that it has turned out to be one of the major hospitals in Delhi where a lot of foreign patients come. In a way, it has been part of the medical boom and most of the medical tourism companies tend to have it on their list. Attractive packages are provided to the patients.